Staycationscalifornia loves piers. I think that is evident on our many features on piers. 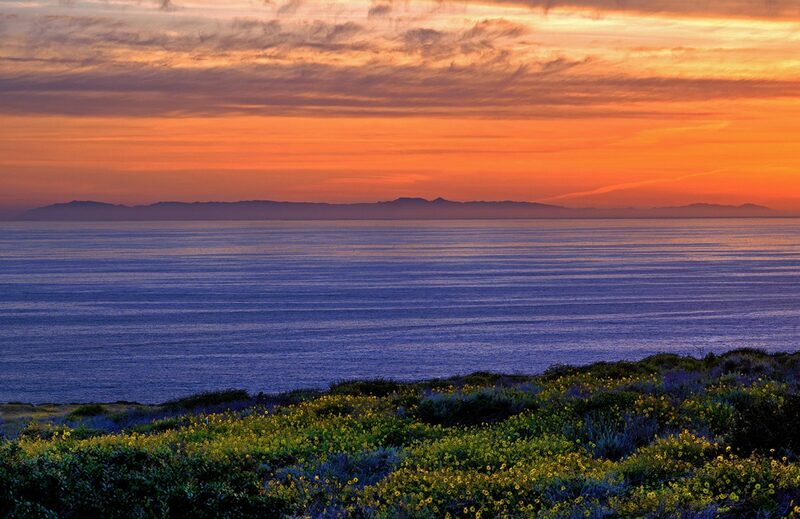 Where else can you stroll and view the coast while atop the ocean. 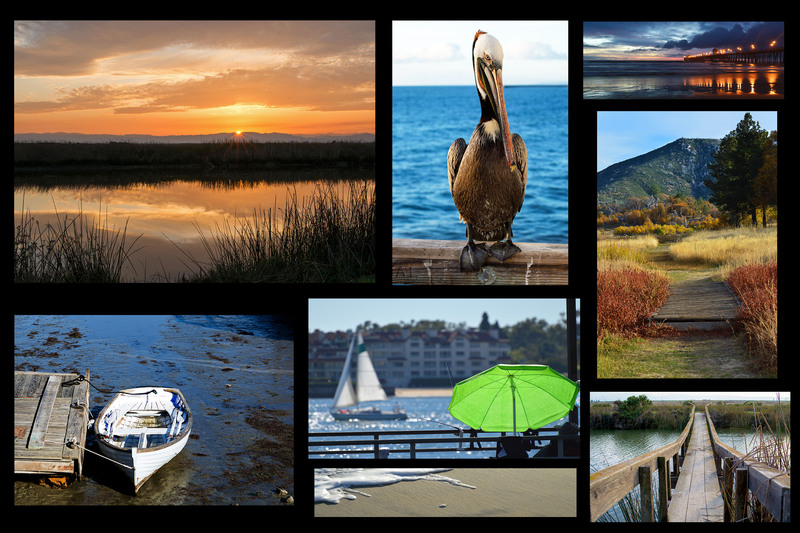 It’s a place you can kick back, people watch, fish, stroll, or just take photos. 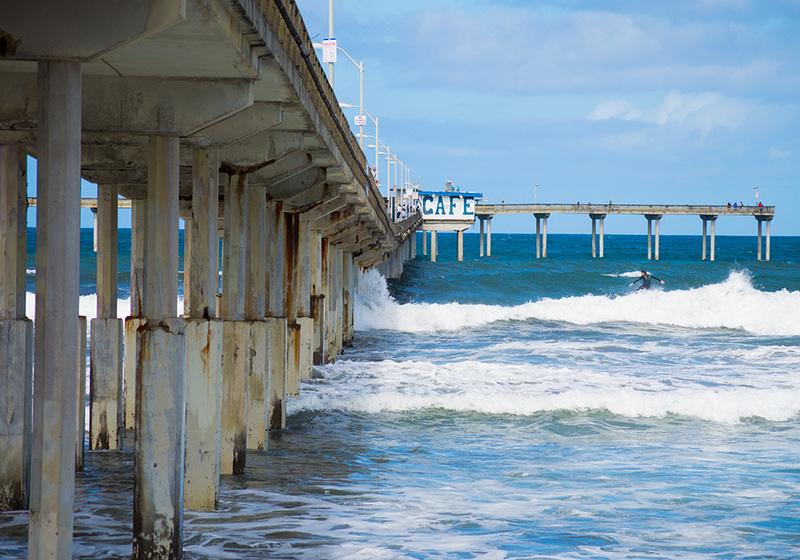 Our newest excursion was the Ocean Beach pier in Ocean Beach California. 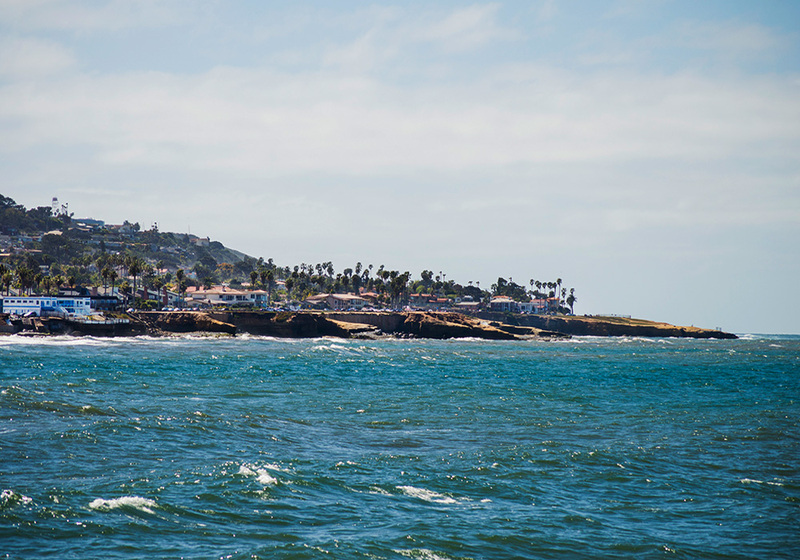 Located about 7 miles northwest of downtown San Diego, The town of Ocean Beach is not only known for its pier but also its wide span of beach that is perfect for surfing, sun bathing, swimming or other beach type activities. 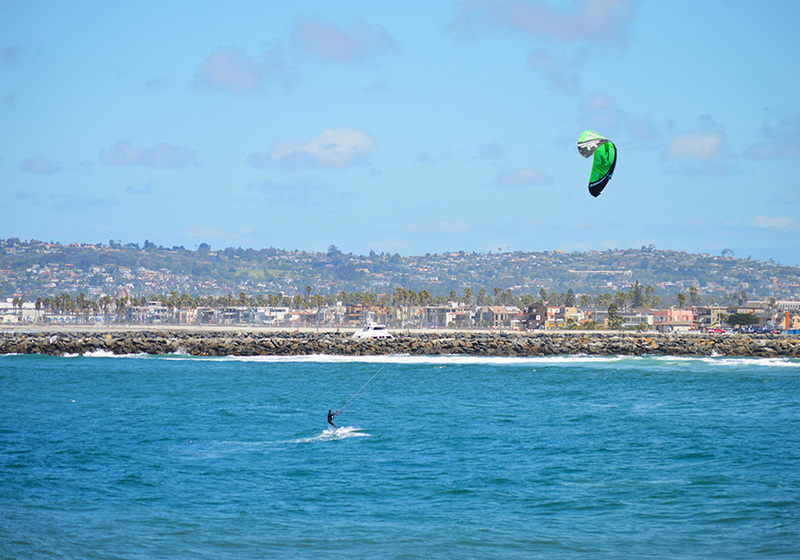 Here is a lone kite surfer taking advantage of the windy conditions on this day. Looks like the lifeguards were practicing lifesaving techniques in this photo. Strolling the Ocean Beach pier you get a great view of the unique Crystal Pier in the distance, while, south you can see the Coronado Islands. 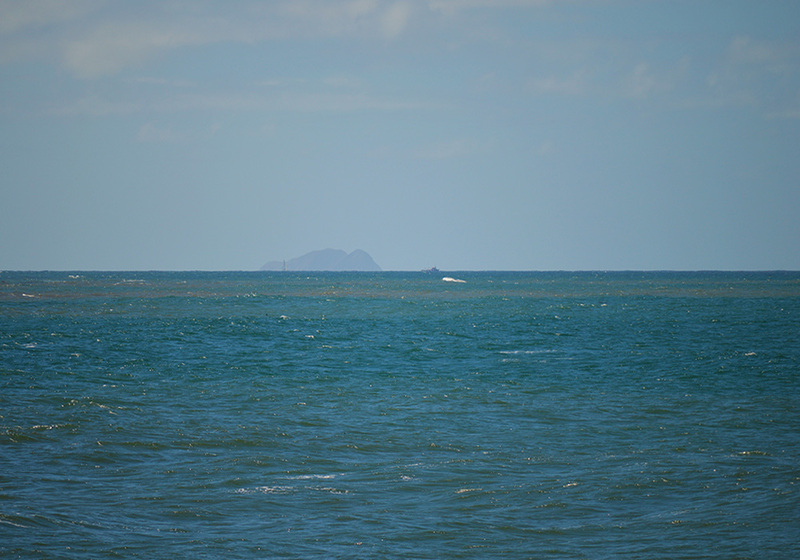 You can even see one of the attractions at Sea World, the 400 foot tall sky tower. 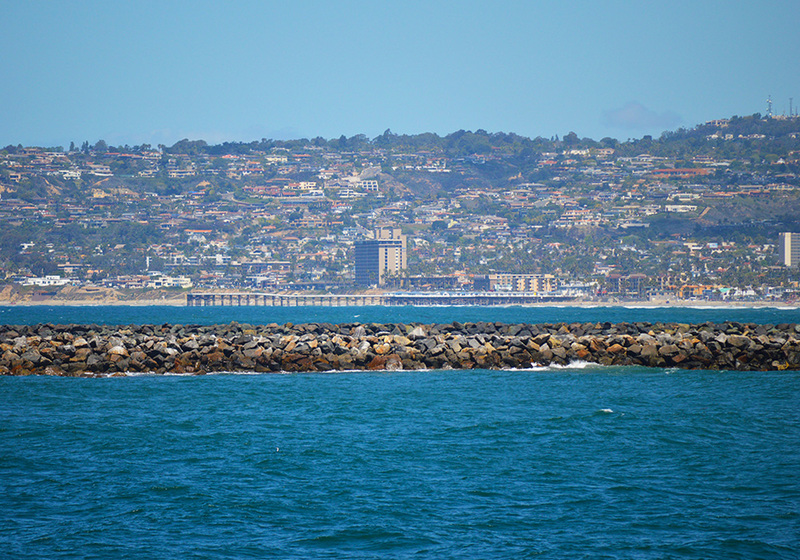 The OB pier is one of the longest piers in Southern California. 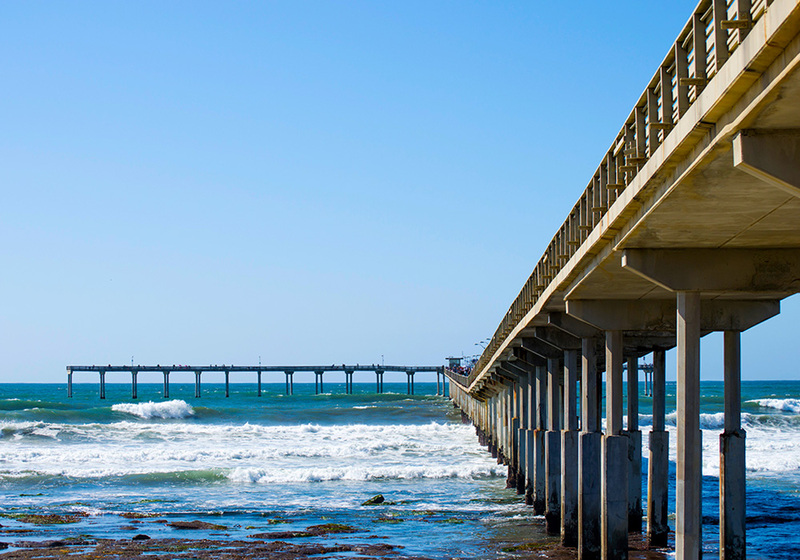 Some say it’s the longest concrete pier in the U.S. although there is a dispute that it may be the longest in the world. 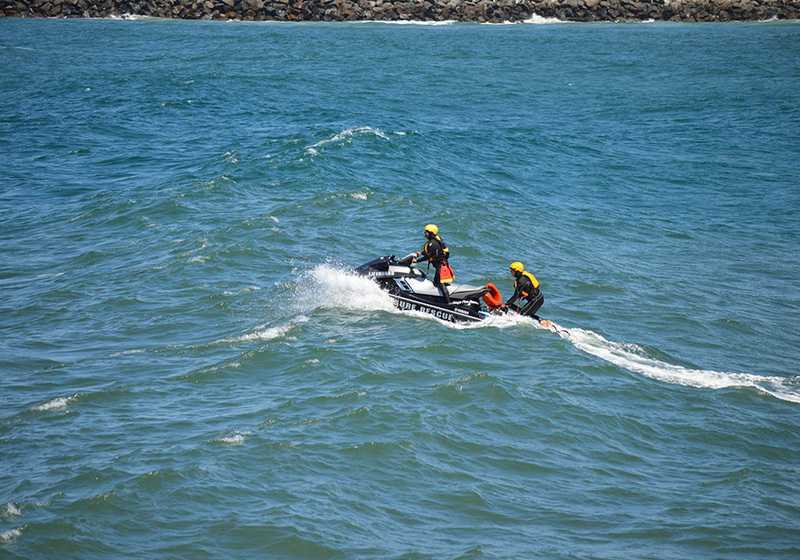 Either way it spans almost a ½ mile out to sea and has two arms jetting right and left. 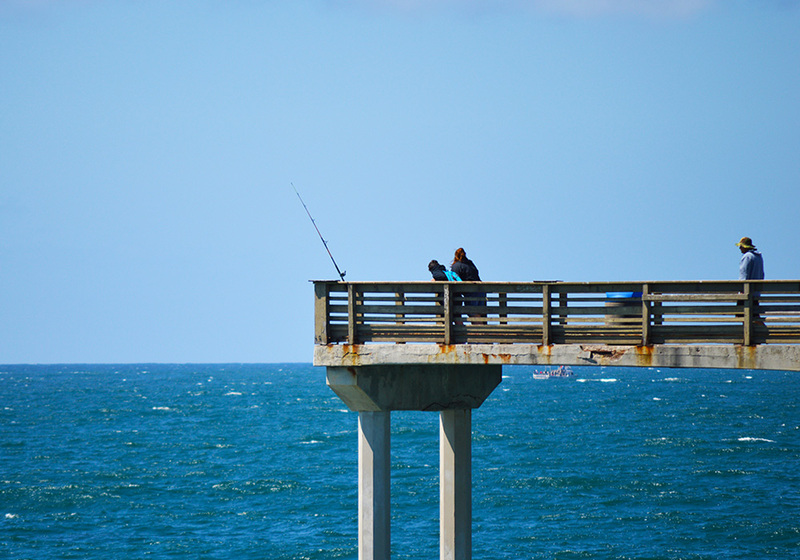 There is a drop in the middle that makes it lower than the rest of the pier, which is pretty cool as it makes it so you are standing closer to the crashing waves. There is a classic Café at the middle also, that claims to have the best view of any café around. Looking inside at the tables, I have to agree. You can also fish without a license which is nice if you only go once in awhile and don’t want to pay the annual permit costs. 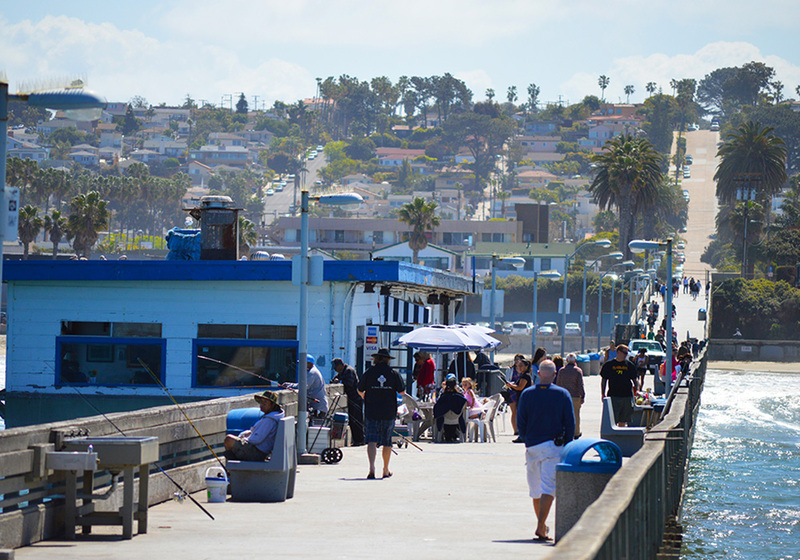 A short walk from the pier is the heart of OB, Newport Ave. Newport Ave is a street filled with life with its cluster of restaurants, shops, and bars. 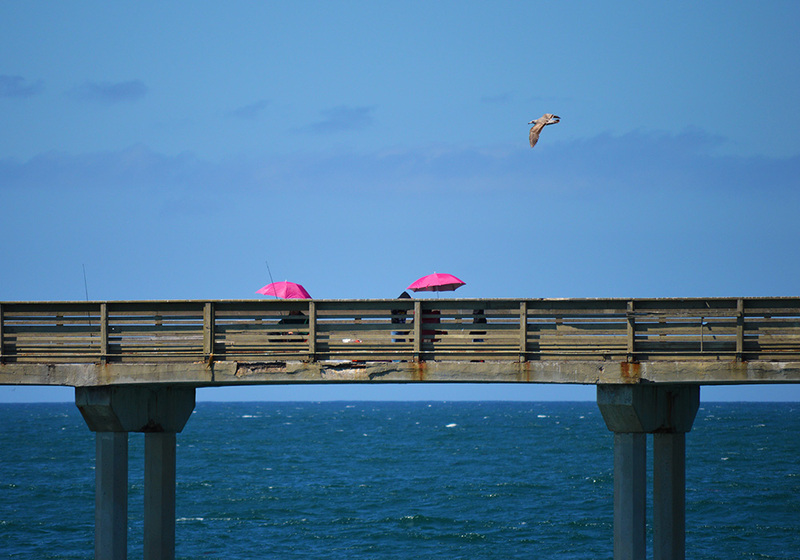 Don’t forget your pooches, although no dogs are allowed on the pier, there is a sizable dog beach nearby. 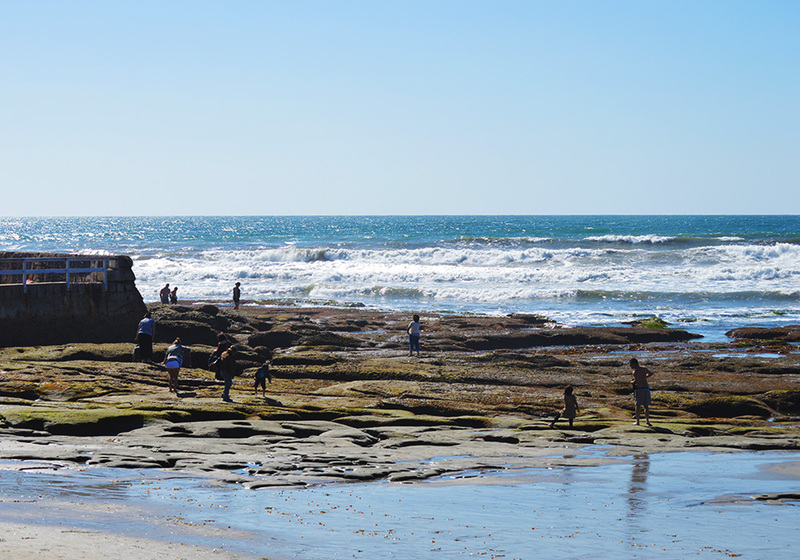 Amazing tide pools are near the base of the pier so be sure and visit those too. Parking seemed fine the day we visited with a large parking lot near the pier, but not sure how it is in the summer months. 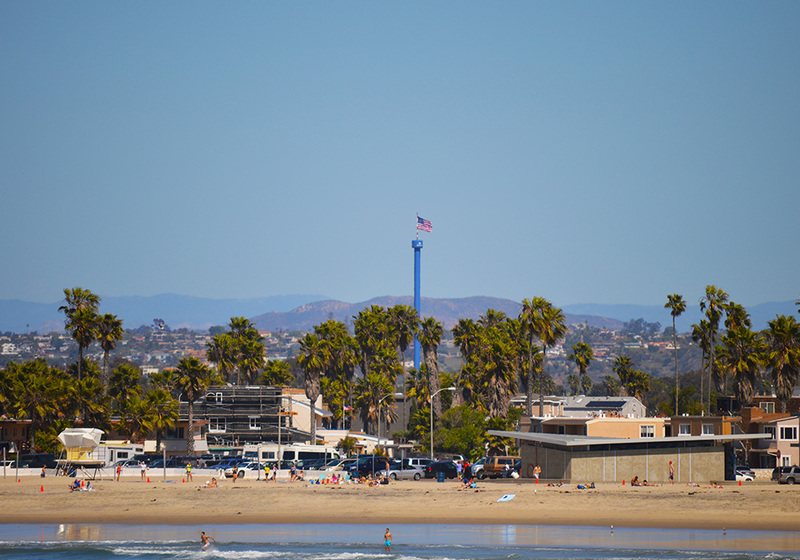 Ocean Beach is a great staycation for the day, weekend, or even a week with the many attractions nearby which include The Zoo, Sea World, and San Diego is just around the corner. 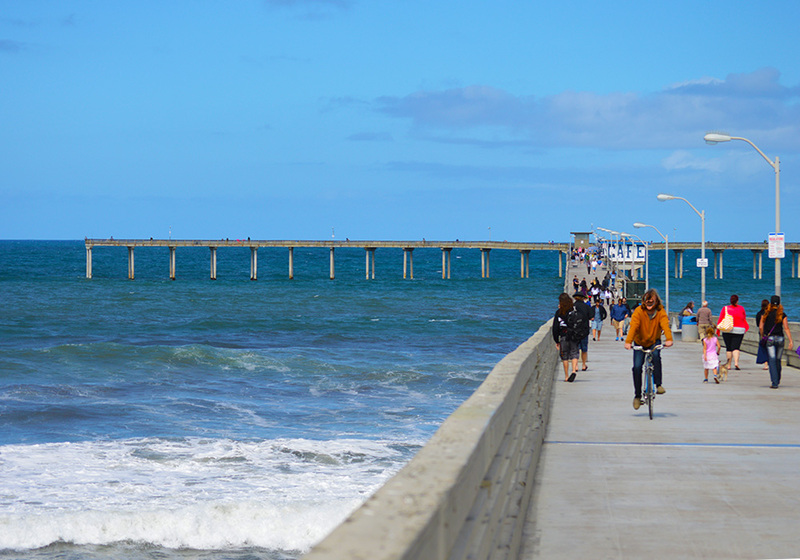 If you just want to take a day off and take a lazy stroll on the pier, walk your dog, or eat at your favorite restaurant, Ocean Beach is your place. 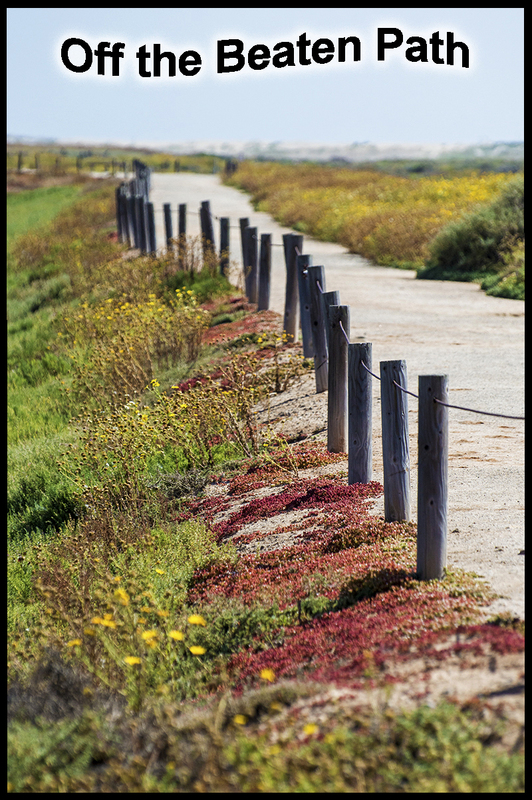 Next PostNext Photo of the Week.